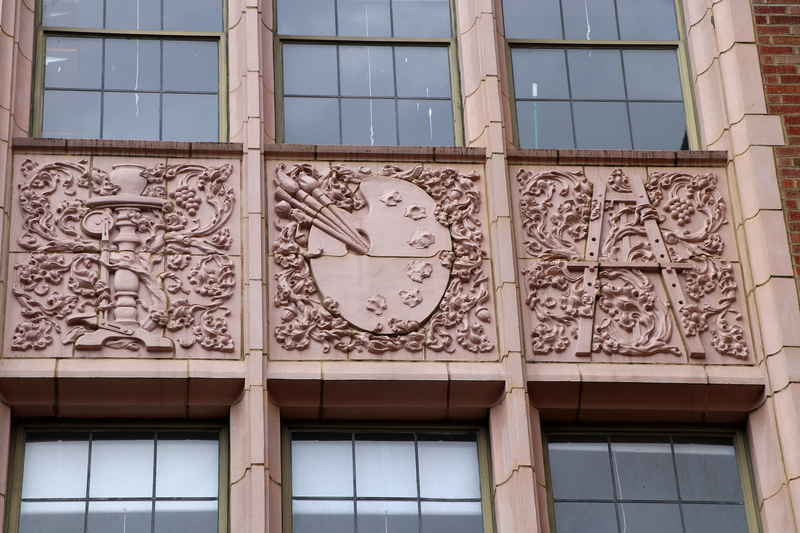 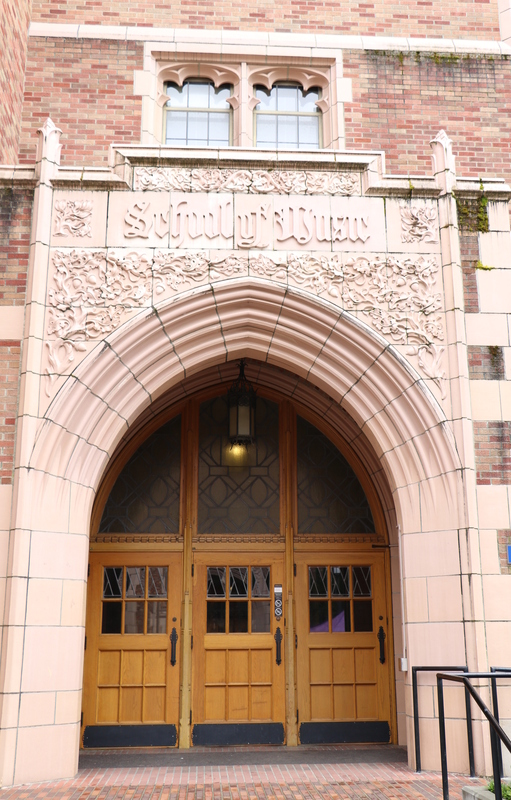 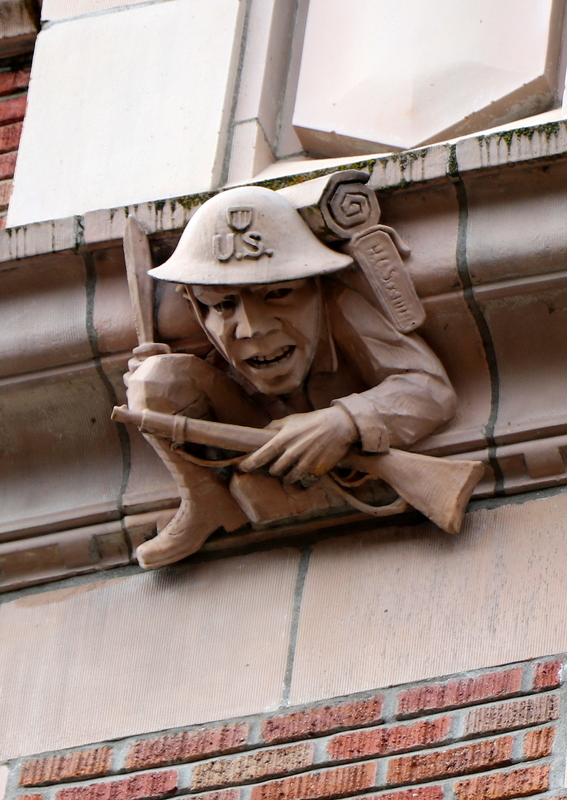 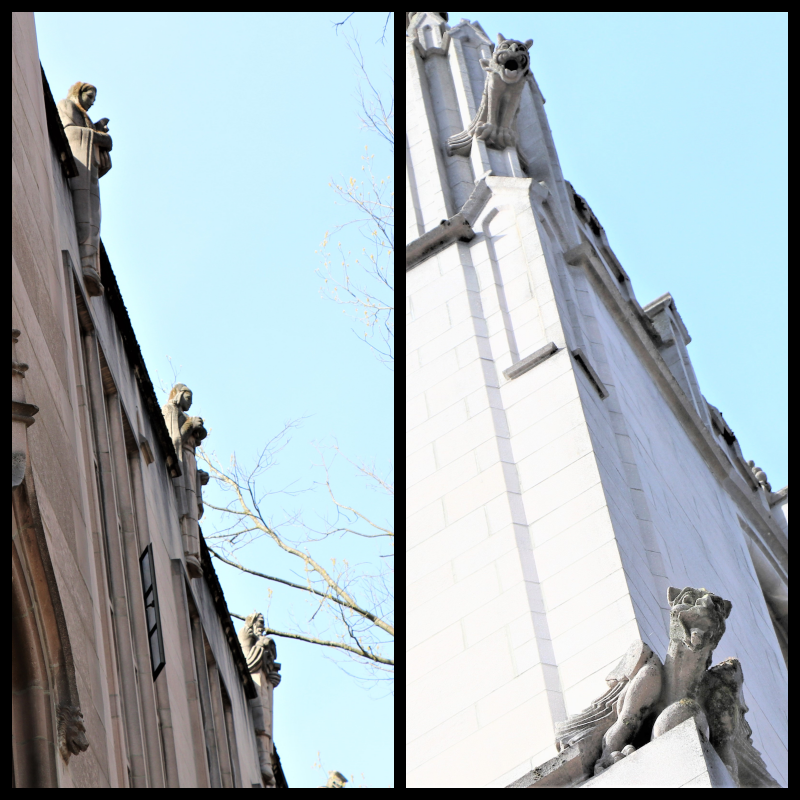 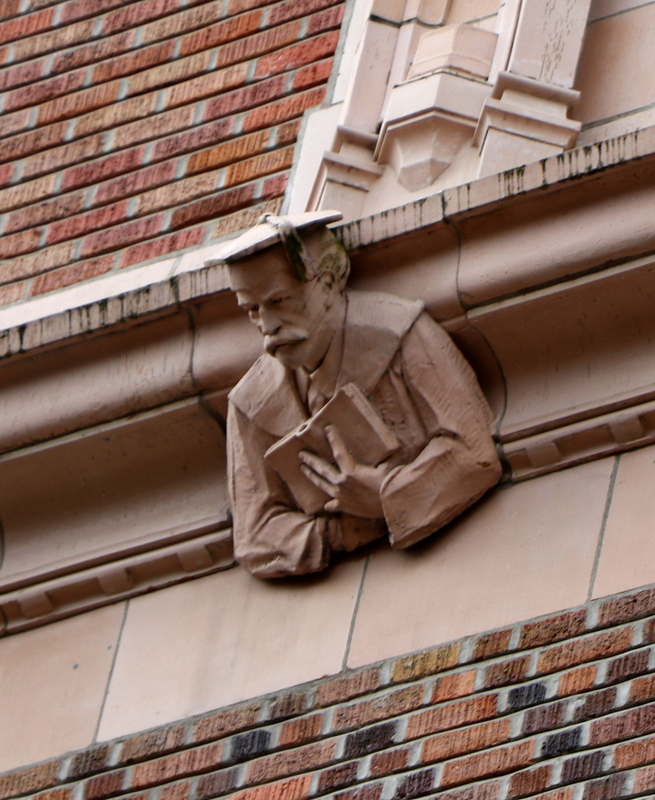 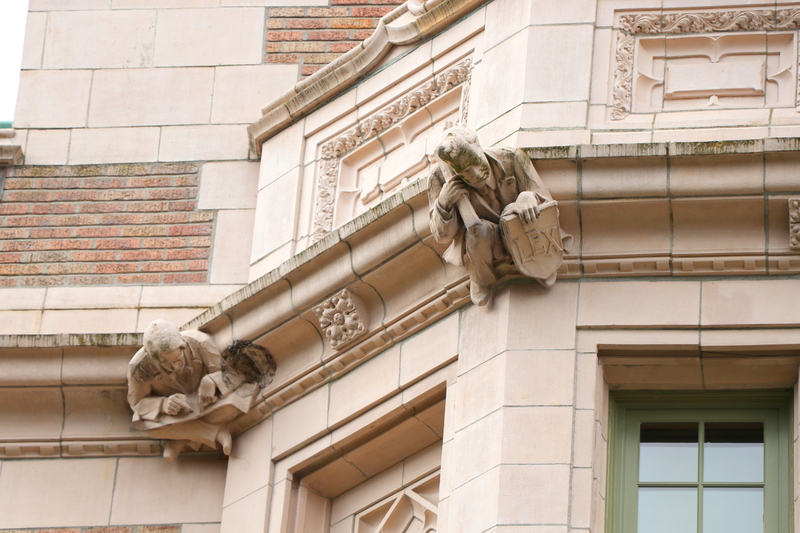 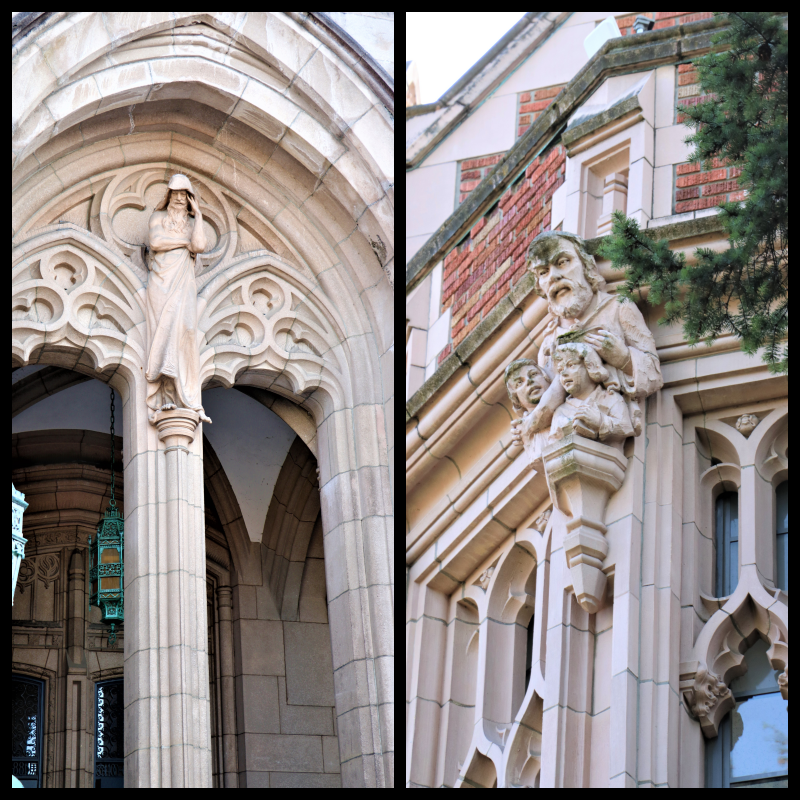 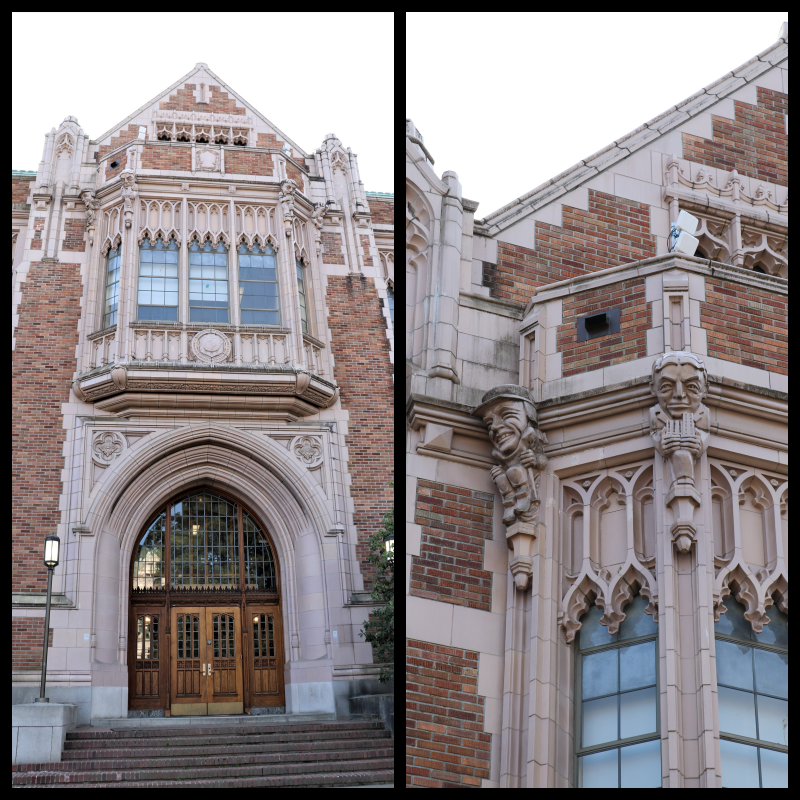 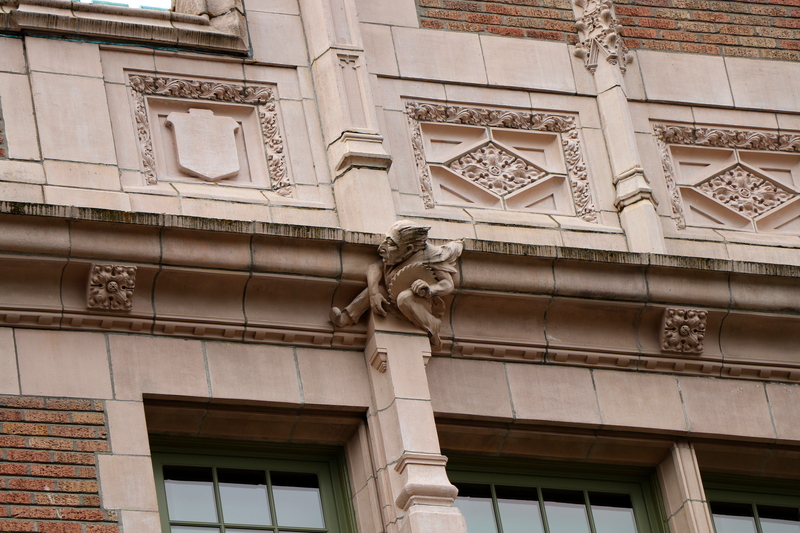 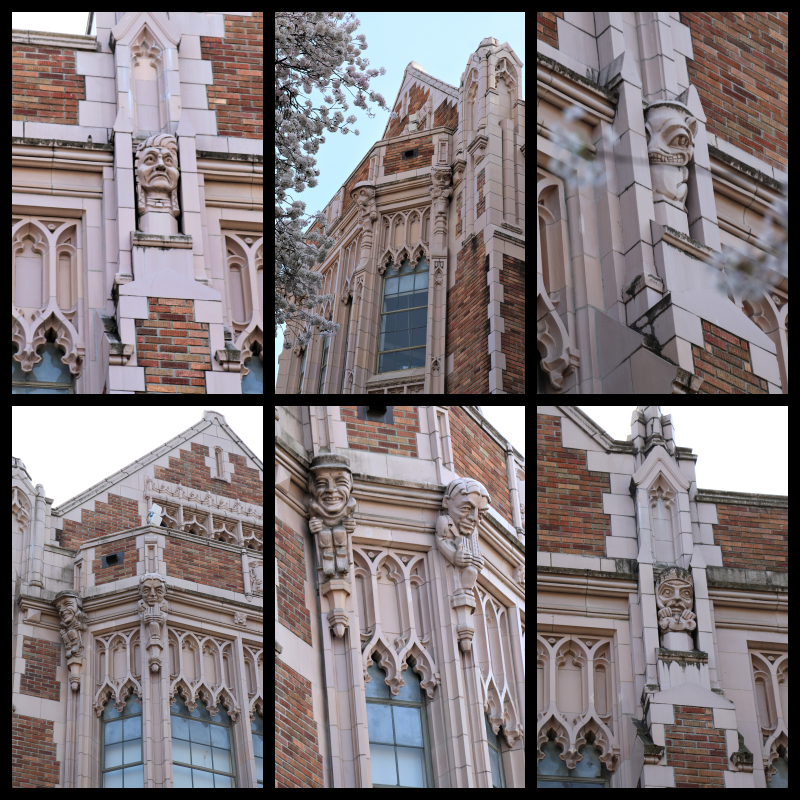 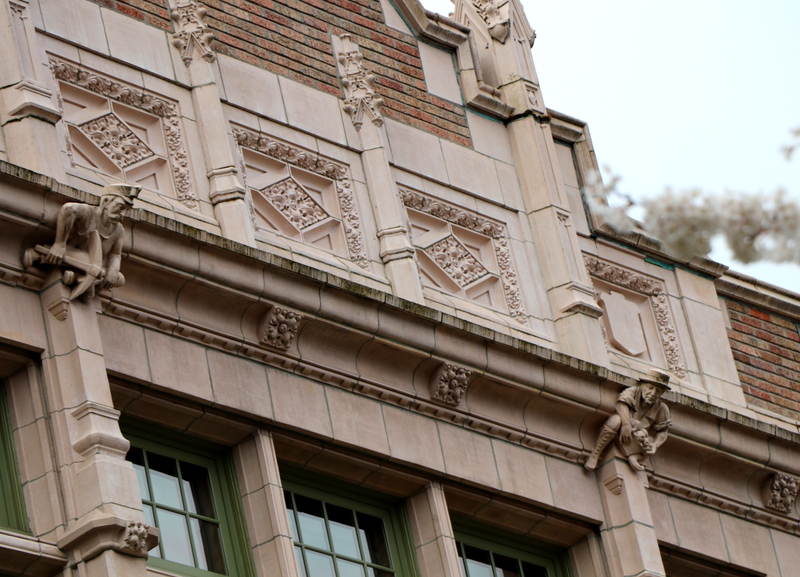 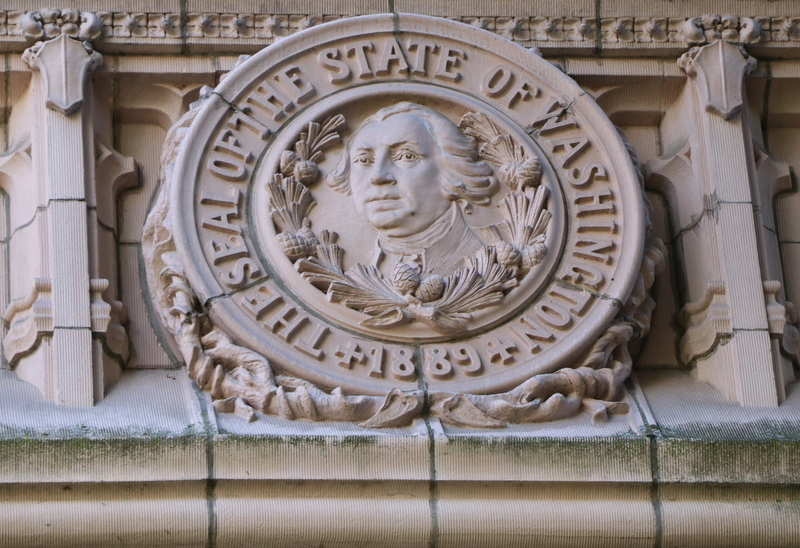 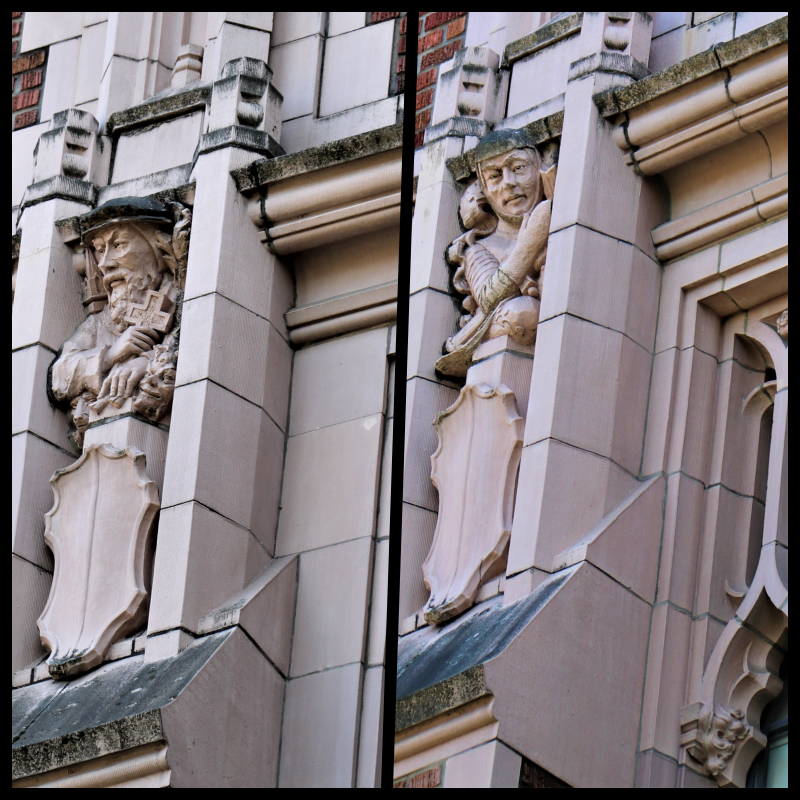 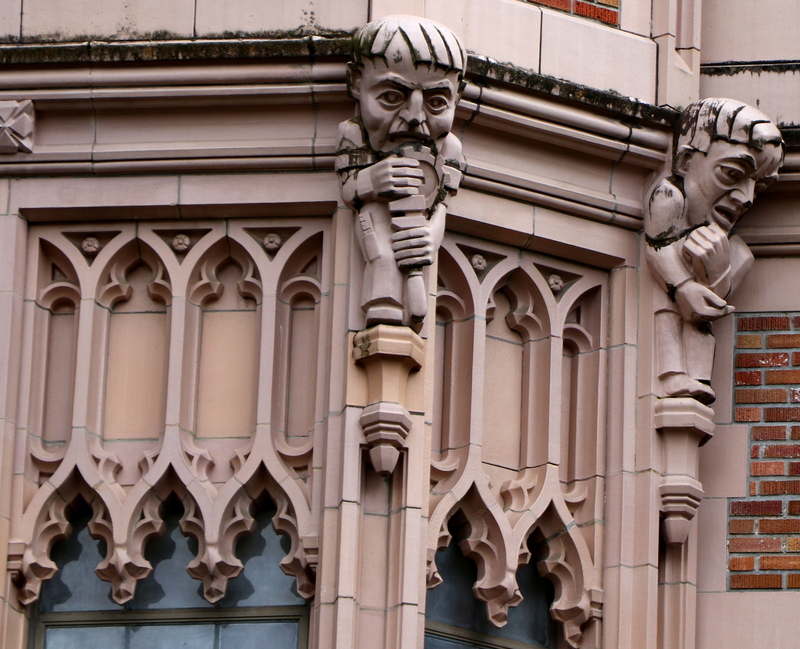 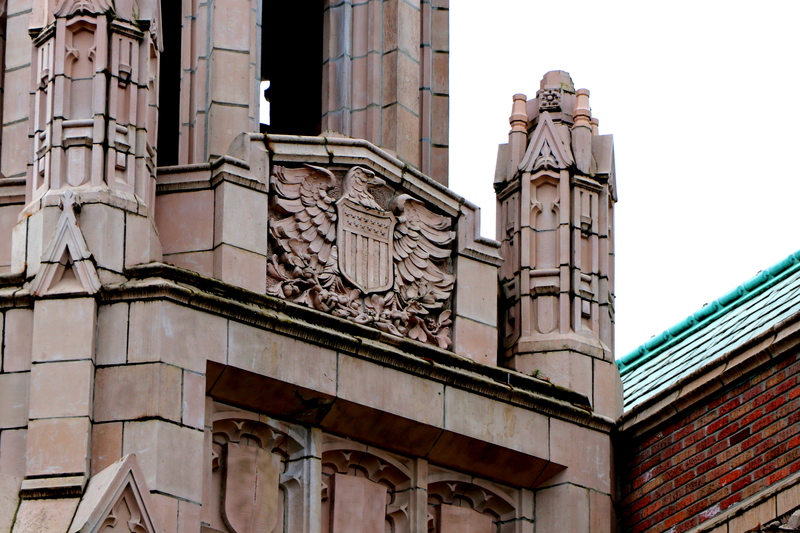 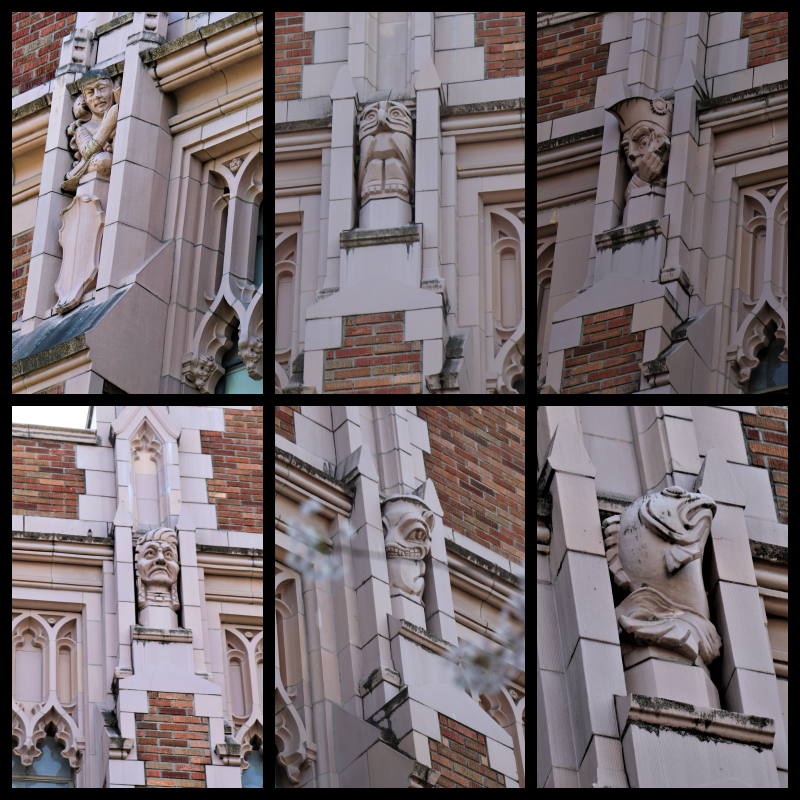 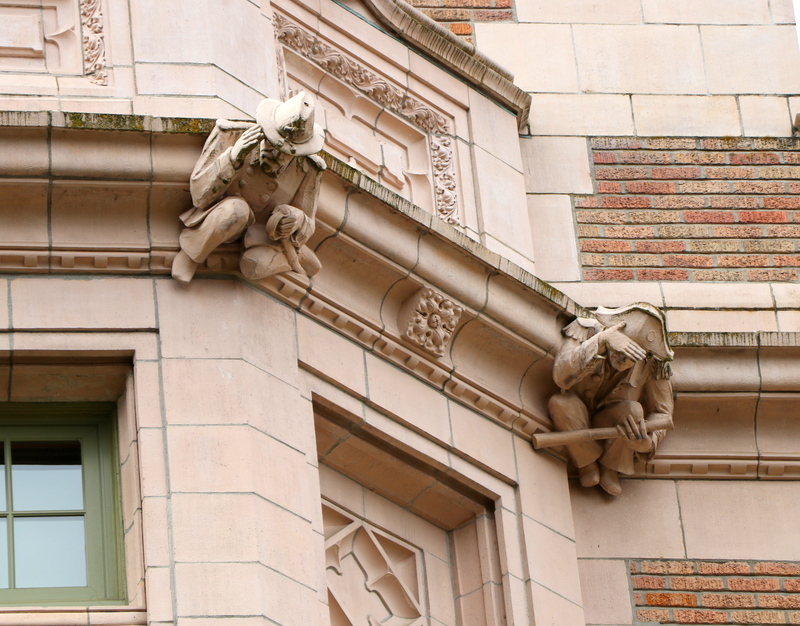 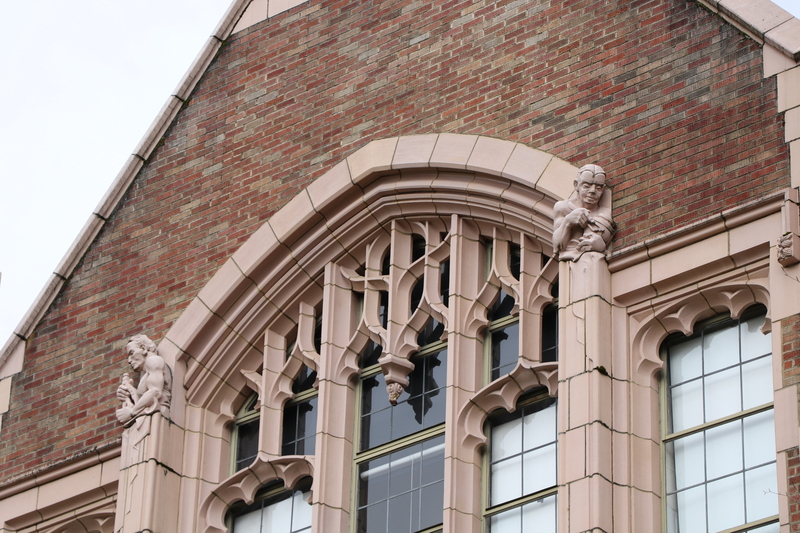 Architecture at the University of Washington | The Happy Wonderer ~ ellen b. 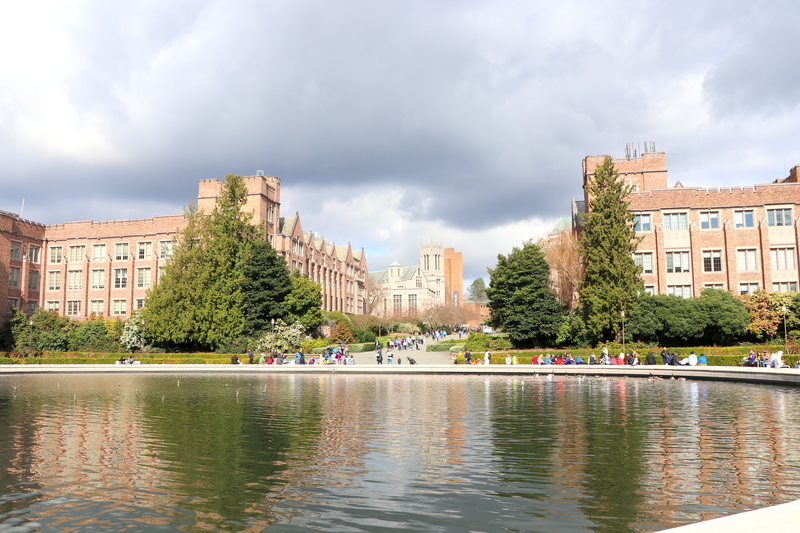 Personal blogging update at the bottom of this post. 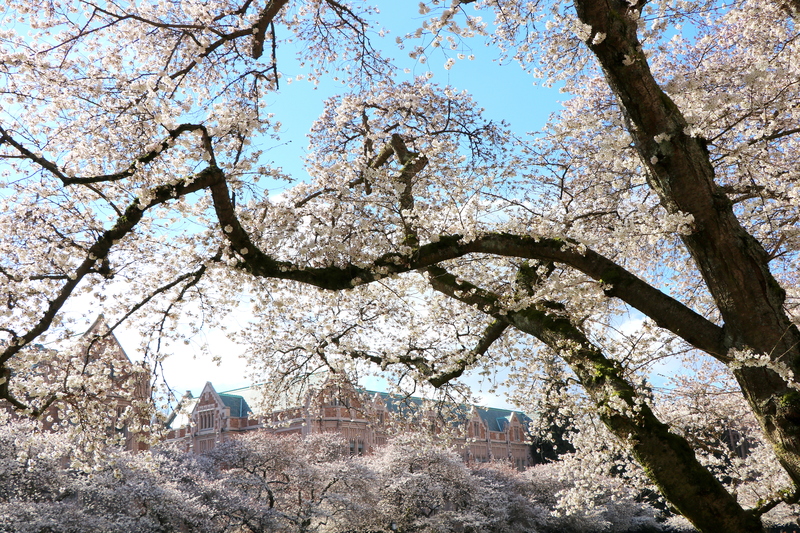 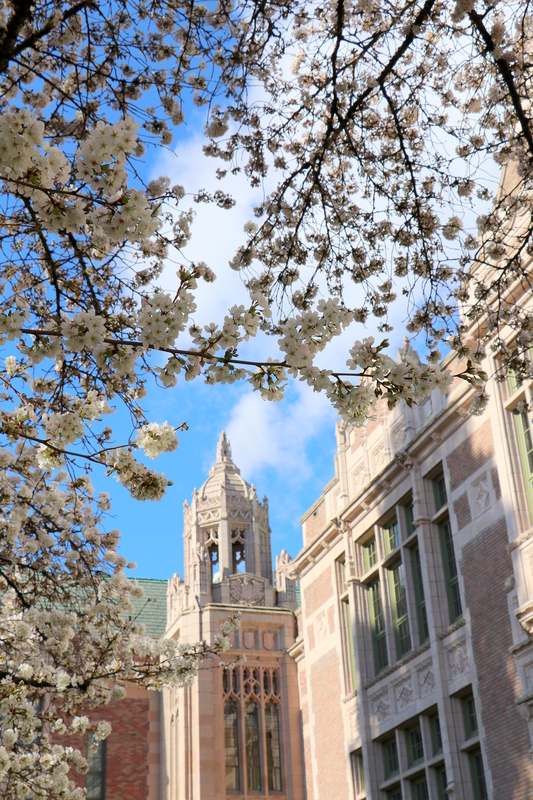 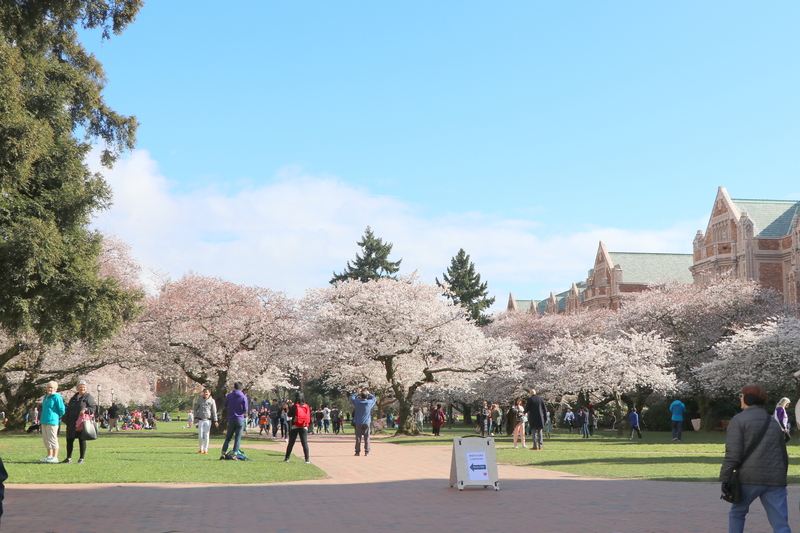 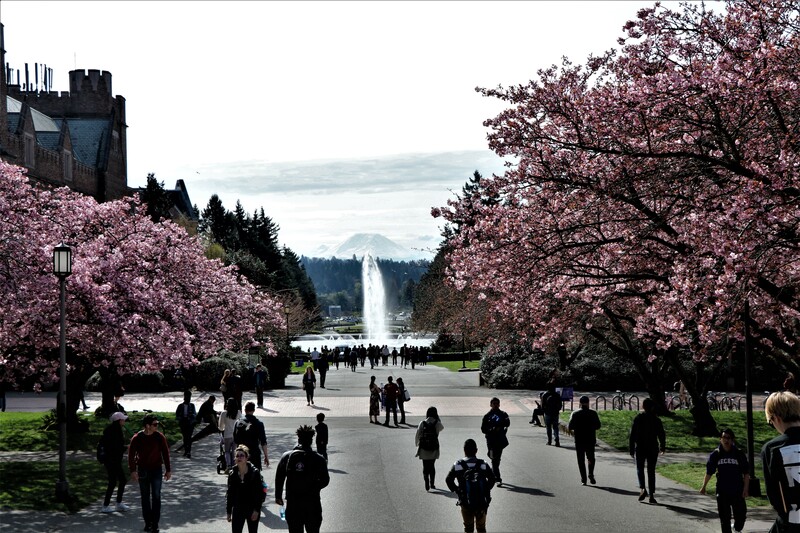 The quad at the University of Washington offers late winter cherry blossom delights. 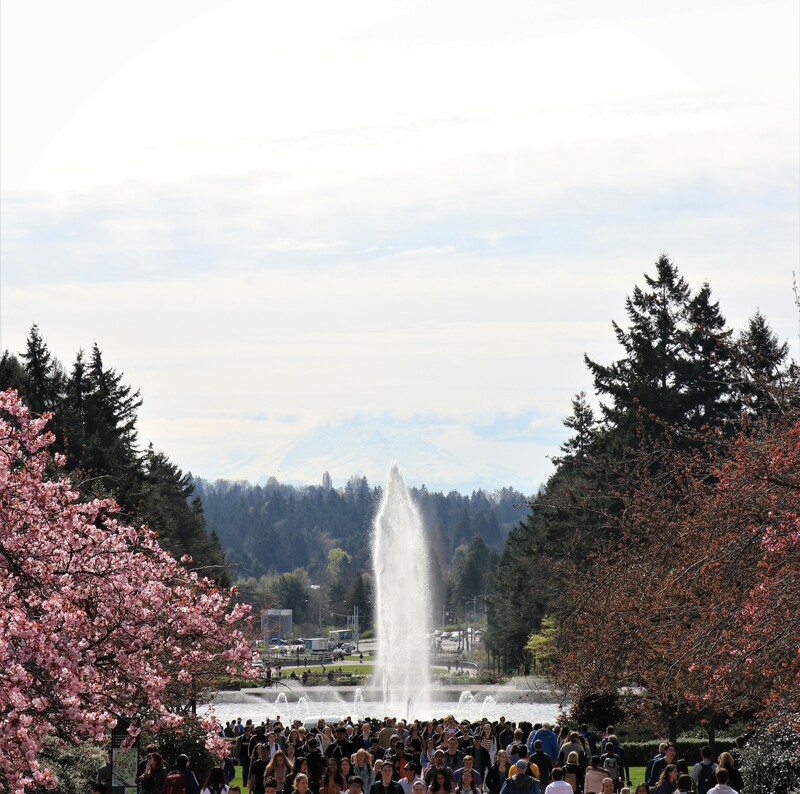 Laura had never been to the campus while the blossoms were in full bloom so we made a date to meet up and enjoy the blossoms together. 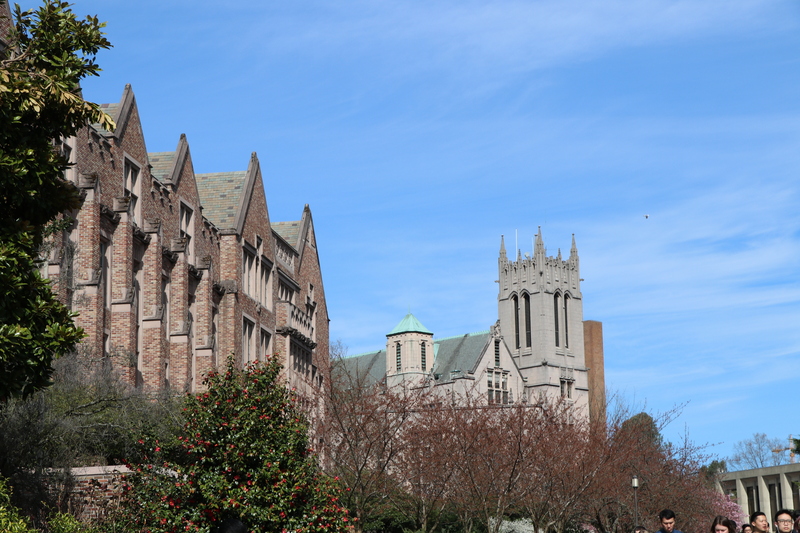 Laura and I met up and drove to pick up Katie who lives 3 miles from the University. 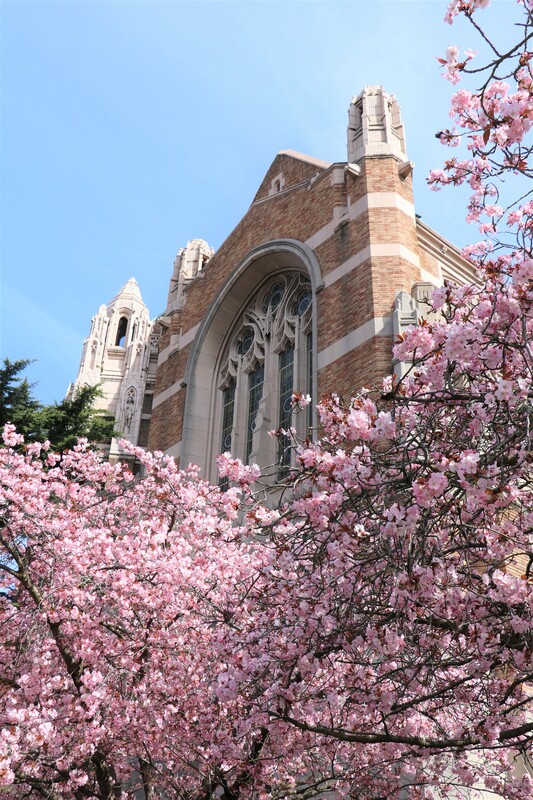 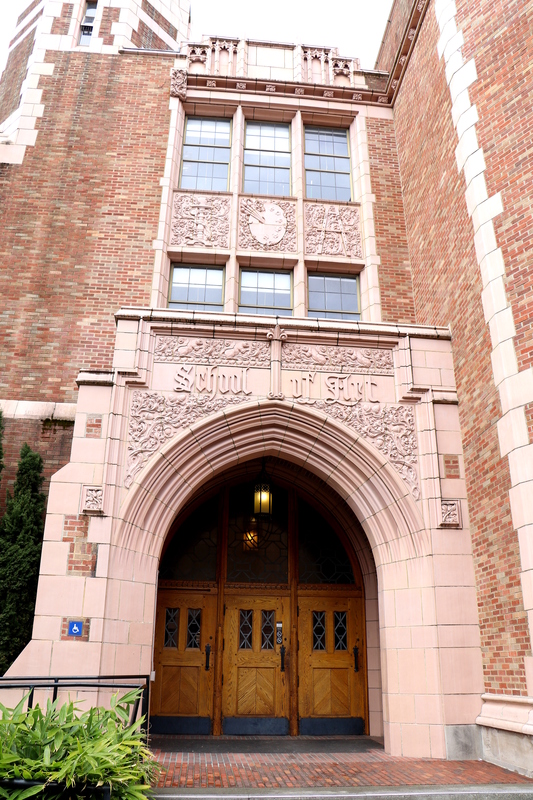 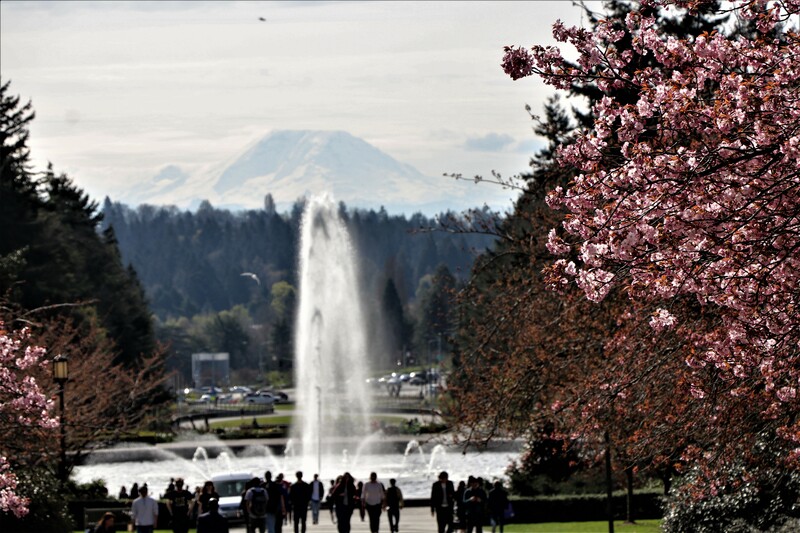 The university is a jewel for the city of Seattle. 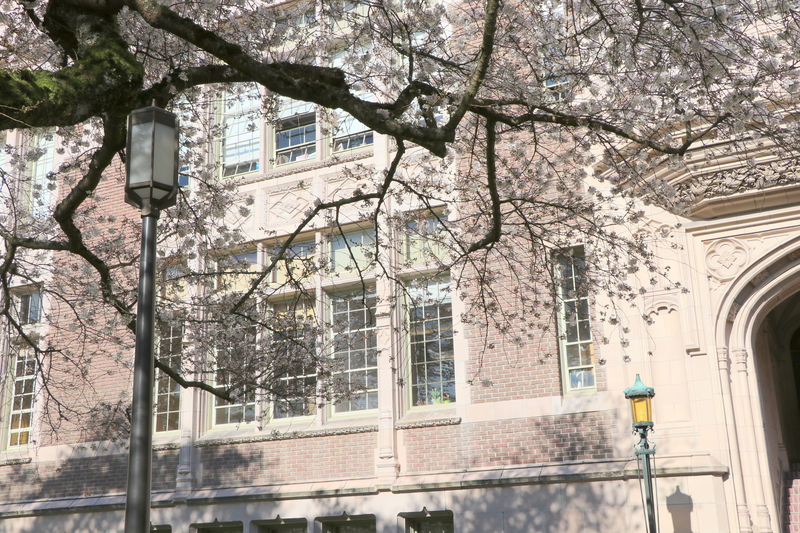 After we walked under all the trees we made a stop at Suzzalo Library specifically to climb up to the Reading room. 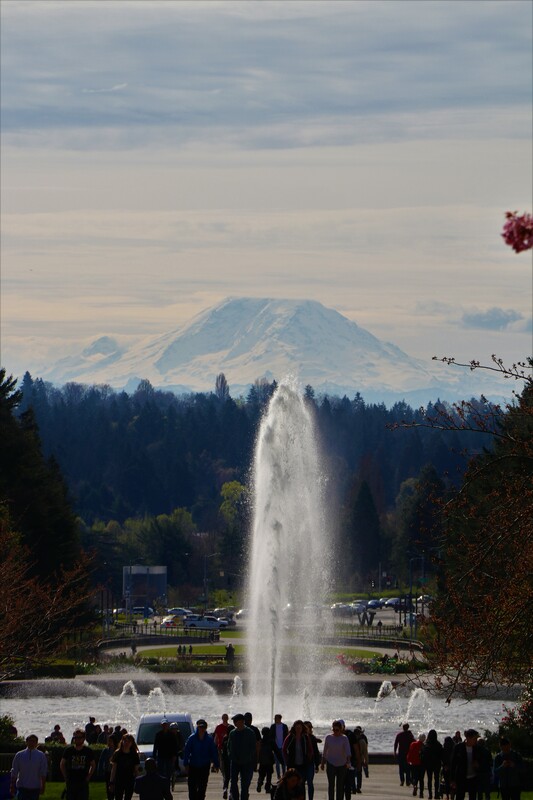 I’ll share those photos on another day. 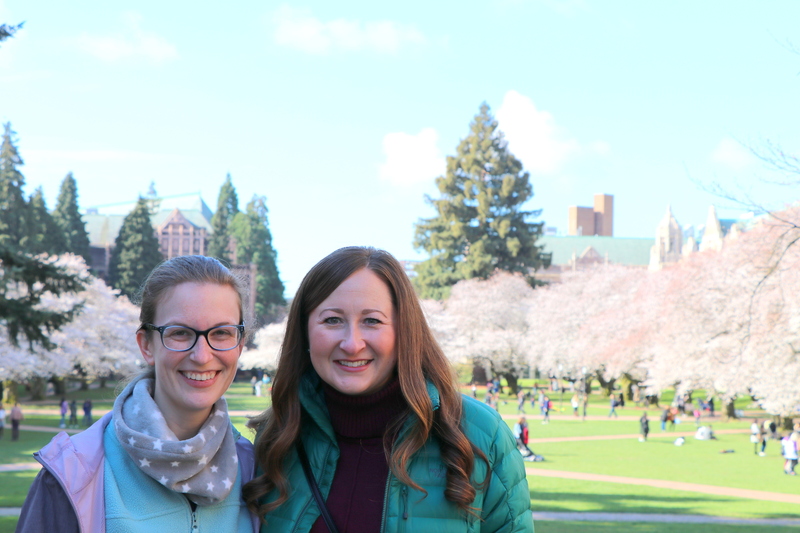 We walked to the “Ave” for a bite to eat and then reversed our journey and parted company with separate to-do lists for the rest of the afternoon.